Following up on recent relaunch of the aircraft carrier line of naval ships in World of Warships, Wargaming is pleased to announce that British aircraft carriers will be added to the game, expanding upon the currently available US and Japanese Carrier lines! Starting February 27 with the launch of Update 0.8.1, three Royal navy aircraft carriers enter the fray through early access. Mighty tier IV Hermes, tier VI Furious, and tier VIII Implacable will be made available upon completing new missions and Directives of the “Fly! Strike! Win!” in-game event. A full release of the Royal Navy aircraft carrier branch will follow in the next month’s patch update. British planes come with generous HP, which allows more daring attacks against ships with strong AA defenses. And while these aircraft are somewhat slower than the American and Japanese naval planes, they pack more of a wallop, thanks to extra rockets and high-level bombs, that makes them unique in this class. Additionally, from February 28 to March 14, players who log in each day will receive free Air Supply containers in World of Warships. These containers include — Naval Aviation collection, camos, signal flags, resources, and combat missions that can help players earn additional ships. Lastly, upcoming patch 0.8.1 will introduce three key new changes to the gameplay of World of Warships. These include changes to the way Search Radar works, along with interface updates, and a change to how ships suffer flooding damage. For more information, please see the developer diary video HERE. Ubisoft has fully revealed the details of Special Operation 4 for Tom Clancy’s Ghost Recon: Wildlands, the last free major update for the second year of post-launch content. Special Operation 4 will be released on February 27th, on the PlayStation®4 computer entertainment system and the Xbox One family of devices including Xbox One X and Windows PC. The update will contain a brand new PvE mode: Guerrilla, the new Sapper PvP class and several highly requested features from the community. 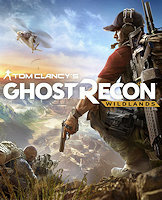 In line with previous Year 2 updates, Tom Clancy’s Ghost Recon: Wildlands will continue to receive community-requested features and improvements, including time of day setting for Solo Campaign Mode, a new bleeding notification in Ghost War, the addition of the compass HUD option to PvE, as well as the introduction of daily campaign challenges with increased rewards. Additionally, Special Operation 4 will add a new Heatmap view, where players will be able to see the most visited locations in the Wildlands and discover some they have never explored. The Ghost Recon: Wildlands Year 2 Pass offers seven-day early access to the new Ghost War class, along with the exclusive Active Duty Pack starting tomorrow. All other players will be able to access on the new PvP class on March 6th. Developed by Ubisoft Paris, Tom Clancy’s Ghost Recon: Wildlands is a military shooter entirely playable in up to four-player co-op or single-player from beginning to end. Players have total freedom to accomplish their missions how they want and watch as the world reacts to their actions. Players can choose to move quietly in the night, go in hot at dawn or work together to execute a sync shot that takes out enemies in one fell swoop. Each choice has a consequence, and players must improvise or adapt their plans to ensure the completion and success of each mission. Tom Clancy’s Ghost Recon: Wildlands Ghost War allows players to live the ultimate co-op experience in 4v4 modes. Featuring a growing roster of classes, maps and modes, Ghost War focuses on teamwork, strategy and tense tactical engagements. Game developer Icebreaker Interactive is launching a crowdfunding campaign to raise funds for development of their upcoming PC game Escalation 1985. What would have happened if the cold war turned hot in 1985? 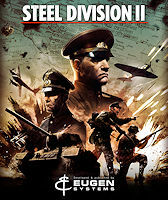 The new first person shooter Escalation 1985 is offering a grand campaign spanning 5 European nations, locations such as Berlin’s Checkpoint Charlie, and the soldiers of 9 armies, including the US Army and the British Army of the Rhine. The crowdfunding campaign offers players in-game rewards of rare and forgotten weapons. Backers can also write their own lines for their characters which will be recorded by a professional voice actor or get their own or someone else’s face in the game. And finally on the highest tier a backer can get their very own real-life BRDM-2 amphibious armored vehicle (video) delivered to their door in the EU or USA. It comes freshly painted in mint-condition from the Czech Republic and is road legal in most places. It’s fully amphibious and can swim at 10 km/h for 17 hours. You can have a party on a lake with this thing or make the school run very exciting. Experience what an armed conflict would have been like between NATO and the Warsaw Pact in 1985. 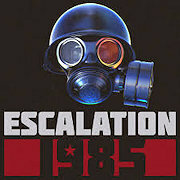 Escalation 1985 features massive 50 v 50 battles set in iconic areas surrounding the iron curtain. Use finely detailed weapons, vehicles, and equipment used by forces on either side. Work with your squad to defeat the enemy team and gain control before the nuclear Armageddon! Using VoIP for radio and proximity communication along with a morale and stamina system the player will feel as if he is actually there, his weapon along with his avatar will be an actual part of the world. Moving, firing, being close to friendlies, enemies or tanks, will all have an impact on how you as a player will interact with the environment around you. Experience the horrors of Nuclear, biological, and chemical warfare with accurate recreations of these events. Drive a tank with your friends. Our armor features intractable interiors that are precisely modeled from their real life counterparts. Engage enemy forces using detailed fire control systems and ballistics. Use exquisitely modeled weapons systems, from rifles to anti-air systems. Accurate bullet and missile physics let you experience the true power of these weapons. Find out more about Escalation 1985 HERE. Visit the games official website where you can view the reveal trailer, screenshots and more. NVIDIA GeForce GTX 1660 on March 15th and GTX 1650 on April 30th? Last Friday we’ve published the first round of GeForce 1660 Ti graphics cards. In that article, we’ve already hinted towards a non-Ti model as well. The chatter on that is now getting more substantial, we’ve also mentioned a possible GeForce GTX 1650 as well, here again, a possible launch date has surfaced. Sources from Digitimes now state that NVIDIA is would be launching the GeForce GTX 1660 on March 15 and a GeForce GTX 1650 on around April 30th, which will bear minimum price tags of US$229 and US$179, respectively. This will follow the firm’s release of two medium- and low-end versions in the first quarter of 2019, including RTX 2060 in mid-January at a minimum unit price of US$349 and GTX 1660 Ti in late February with a floor price of US$279. The four new graphics cards, ranging from US$179-349, are expected to bring heavy pricing pressure on AMD’s mid-tier and low-end offerings such as VEGA 64/65 and RX590/580/570. With the launch of the four products bearing high price-performance ratios, NVIDIA is apparently seeking to refocus its graphics card business on the medium- and low-end market in the first half of 2019 to prevent its profits from falling further and drive AMD’s share in the market down to under 25% or even 20%, industry sources commented. The drastic shrinkage in demand for crypto mining graphic cards seen since the second quarter of 2018 prompted Nvidia to fast reduce its inventory in the following months, minimizing the impact on profitability.